The Parliamentary Secretary for Youth, Sports and Voluntary Organisations in collaboration with the Malta Council for the Voluntary Sector (MCVS) has today the 12th October 2017 launched the National Volunteer Award 2017. The Award was officially launched by the Hon. Clifton Grima, Parliamentary Secretary for Youth, Sports and Voluntary Organisations together with Mr Nathan Farrugia, Chairperson of the Malta Council for the Voluntary Sector. The Call for Application for the awards shall be open as of the 12th October 2017 and shall close on the 10th November 2017. 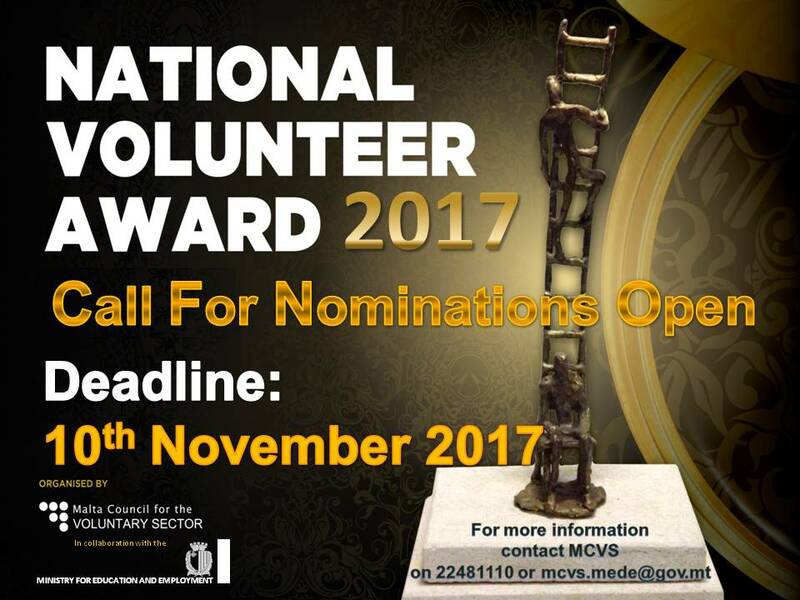 The award ceremony shall be held on the 5th December 2017, International Volunteer Day.